I wanted to share two things specifically with everyone in respect to my personal experiences with the highly regarded Sigma 50mm Art lens, after using it now extensively over the past two years. I want to address how it has held up for me, as far as a durability stand point, which was one of my biggest concerns. 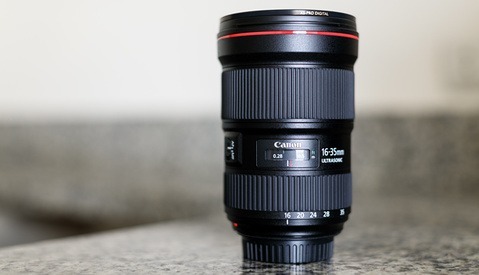 And I would like to let you know if I have any regrets ditching my Canon 50mm f/1.2 L lens for the Sigma glass. So first let me say that 50mm is my favorite focal length. I use it to produce both images for paid work, as well as for my own personal photography. If I was not a professional photographer, and making my income with a camera, a fifty would be the one and only lens I would own. So I am constantly in search for that elusive perfect 50mm. Over the past ten years I have owned all three of Canon's current offerings at some point. I started out with the f/1.8 version back in 2006, then upgraded to the f/1.4 soon after, and until I switched to the Sigma Art lens, I was shooting with the Canon f/1.2 L for five years. The Sigma was the very first third party lens I ever purchased, I ordered it from B&H mid 2014 soon after it was released, when all the reviews starting rolling in, raving how sharp this new lens was. I thought to myself if I didn't like it, I would just sell it. If I liked what I was getting out of it, I would sell off my Canon L. You obviously already know what happened. In the end I did make the switch mostly because of it's resolving power, it gave my images a huge increase in the visible details. My photographs are printed often for work, and printed large. And the difference in the details was very noticeable to me right away when examining the enlargements. The Sigma Art is so much sharper than any of Canon's 50mm choices, and I was sold on it right away. The reason I was even looking elsewhere in the first place was because I found the Canon unusable for me wide open; I was usually stopped down to at least f/1.8 or f/2. It was so soft when shot wide open, and difficult to focus for me, that while it did look fine displayed online and when used on social media, once printed, you could see the lack of details in the files. Maybe it was my own user error, as I have seen some absolutely amazing photographs shot with the Canon L online at f/1.2, however now I was shooting the Sigma wide open at f/1.4 and while that still is a very thin depth of field, what is in focus, is razor sharp. I was basically carrying a 50mm lens in my bag to only use at f/2, while I had zooms that covered that focal length and were f/2.8. I felt it was not worth the space and weight for solely one stop of extra light. Being able to shoot wide open at f/1.4 with the Sigma gave me personally two more f-stops of usability, now worthy of it's space in my camera bag. Canon 50mm f/1.2 L @ f/2.2, ISO 100, 1/1000 sec. Sigma 50mm Art @ f/1.4, ISO 100, 1/4000 sec. So first, let me talk about it's long term durability. This was probably the main reason I only purchased Canon glass for my first decade as a professional. I assumed third party lens were cheaply made and would fall apart over time, while Canon lenses would last me a lifetime. I believed this with no facts or reasons whatsoever, except ignorance on my part. I imagined the OEM lenses would produce the highest image quality possible, and nobody could do better. They cost more, so they must be better, but as I said above, I was obviously proved wrong. 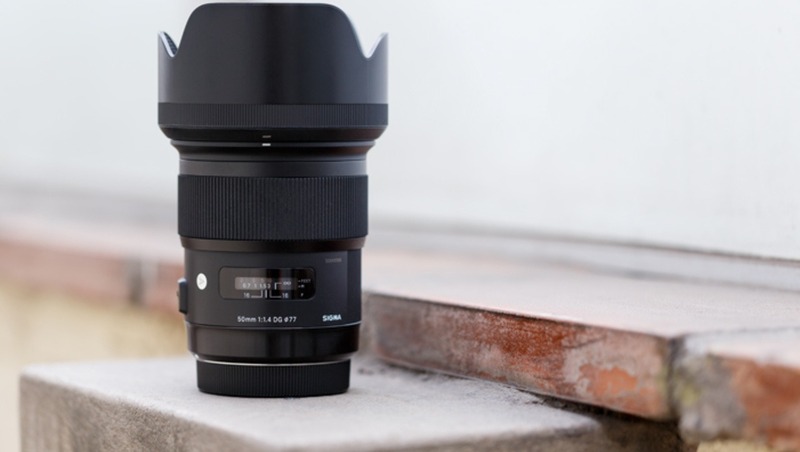 As you can see in the lead image of my Sigma 50mm, it looks great cosmetically after being used consistently for two years, no paint chipping off, or any other kind of visible physical wear and tear. And I am fairly rough on my gear; I don't abuse it, but I also don't baby it. I have been using that lens week in and week out on paid assignments since I bought it. I have flown with it, both in my carry on, and checked luggage. I have taken it to the hot and humid jungles, the dry and sandy deserts, and even brought it on hikes to mountain tops of altitudes above 13,000 ft. And it is has never given me any problems at all. It works just as reliably as all my other Canon made lenses, same as the day I bought it. Canon 50mm f/1.2 L @ f/2, ISO 50, 1/800 sec. Sigma 50mm Art @ f/1.4, ISO 100, 1/200 sec. Now let me briefly share my feelings about ditching my 50mm L lens. Am I still happy I made the switch? Do I have any regrets two years down the road? After all my Canon 50mm never gave me any problems either, it was always extremely reliable for me too, just as the Sigma. I will have to say though I ultimately do not regret the switch, and my thoughts on third party gear has been changed forever, but the Sigma is not perfect either. It has issues of it's own, but they outweigh it's positive characteristics for me. It definitely has a problem focusing in strong back light, I see it has a tendency to hunt and never lock focus in those situations, where all three of the Canon versions that I owned never exhibited that issue at all. Sometimes it is a pain in those lighting conditions, but I manage, and again, I am happier with the final file at the end, even if it is a little bit tougher to attain. Then there is the weight and size of the Sigma, that also bothers me at times. For my paid assignments not so much, I will happily carry the heavier and larger lens to deliver better images to my clients. I know it needs that extra glass inside to do what it does, that is just the nature of the design. But 50mm was also my walk-around and vacation lens, and with my favorite lens now being roughly a half a pound heavier, as well as quite a bit longer than my old Canon was, I tend to unfortunately not take it with me as often as I did before the switch two years ago. That's about it! To sum it up, the Sigma Art has it's problems auto focusing in strong back light, and the extra weight and size over the Canon L counterpart is not an issue for me when it comes to paid work, but definitely has become more of a problem for me with my personal shooting than I thought it would be. I happily gave those things up though, for a lens that is now more usable to me at apertures wider than f/2, and being able to produce photographs with more detail in them when printed. There is no perfect lens, and there unfortunately is no perfect 50mm. It is give and take with any model lens out there you choose, I wish I had the budget to keep both of them in my bag for different situations, but that isn't in the cards right now. However next time I am in need of a new lens, I would have no hesitation to go with a Sigma again. Two years ago I was in the market for a high-end 50mm. I briefly considered the Sigma, but decided to spend twice as much on the much-flawed, much-softer Nikkor 58mm f/1.4G. I do not for a second regret that decision. What it lacks in raw sharpness, it makes up in character and beautiful creamy "3D" rendering. I get more and more the impression that Canon lenses are by far not where Nikon lenses are. Wouldn´t go for a Sigma and all this calibration and docking station stuff which makes live more complicated. This is a bit of a misconception with Sigma lenses, yes they should be adjusted to work correctly with your camera but I manage a camera store and I've yet to see a prime lens from any manufacturer that I would say wouldn't benefit from calibration before use. The main bonus of the sigma dock system is that you can calibrate in the lens so it will work across multiple bodies rather than having to calibrate each body to work with the lens. Very interesting. I've owned probably over 20 different lenses in my life. Always buying, selling, traded gear. And I never once calibrated a lens before. I know I can't be that lucky, but I seem to be happy with my lenses straight out the box. Most of the time a lens will fall into a usable range and you can be very happy with how it shoots, but very rarely will a lens come out of the box shooting at it optimum range. I guess I should find some time to play around with calibrating or Microadjusting my lenses with my bodies, see if I notice a difference. Thanks for the info Rob. Fritz it really varies from lens to lens. They tend to leapfrog each other. For example the Canon 135mm is far superior to the Nikon in my opinion. The Canon 70-200mm beats the Nikon 70-200 VRII by a slight margin. (I suspect Nikon's new 70-200 will take the lead again). Canon's 35mm f/1.4 also is significantly better than Nikon's. I'm pretty sure Canon's 24-70mm beats the Nikon as well. I'd say, as a rule, at least of late Canon seems to be ahead in the traditional work horse focal lengths while Nikon has edged out Canon in the more innovative and less standard ones. I felt somewhat the same with my Canon 50mm f/1.2, while it is far far behind sharpness in comparison to the Sigma Art 50mm, there was something about the images, that ''Character'', and as can be seen in the samples images above, when resized for web, I think it is very difficult to tell which lens took which photo. But when making large prints, I feel the difference is very apparent. It is good we have so many options for everyone's needs. This is an annoying area for Canon shooters and I have tried and sold at least 2-3 copies of each 50mm prime without finding one I'm happy with, ultimately using the 24-70 f/2.8II in the place of a prime. I miss the shallow DOF, of course. I'm still holding out hope for a Canon 50 f/1.2L II with the same upgrades as the 35mm f/1.4II. I did the same quite often as well, if I needed a focal length of 50mm, and was not shooting at about f/2, I always threw my 24-70mm f2.8 II on the camera instead. it is sharper! Even stopped down to f/8, you can tell the zoom was better. But now I don't do that anymore with the Sigma. 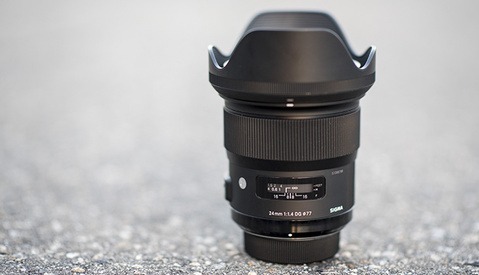 I might have to give the Sigma another try based on your experience. I was trying out a friend's copy, so I didn't really have time to dial it in with AFMA and such. While I do love my Sigma 50mm, I've found it to be be unusable wide open unless I'm using flash. I rarely shoot wider than f/2 for fear of getting soft images. I recently got the Canon 100mm f/2.8 macro lens which I prefer to use for portraits where I'm working exclusively with natural light. Having a prime lens with an image stabilizer makes things so much easier. I think you got a bad copy, and should send it in to be fixed. My Sigma 50 art is amazing, and I'm so happy I also ditched my Canon 1.2 for it. I walked 4 miles home from work one day just to see what it would be like to leave it on f/1.4 the whole way taking street shots of everything and anything. Not a single images was anything but razor sharp. I don't think its a bad copy because the photos are always tack sharp when using flash. The thing about shooting wide open with prime lenses is that the slightest movement can result in a soft image. I find the wider I go the more difficult it is to get it right. Optically, though, the Sigma 50mm is very sharp wide open compared to most lenses. Yeah that's what I meant. The flash freezes any motion. It's only when shooting in natural light that images sometimes look soft. That sounds more like a problem with your shutter speed than the lens then, I've never had a problem with the Art series wide open. Do you, by chance, back button focus and/or focus then recompose? If its a motion thing then the blur would appear, regardless of aperture. No I don't do either. I think its just down to my technique because I have managed to nail it a few times so its something I need to practice more. But it does seem to be a lot easier when shooting at f/2 or narrower. Is it not a case of the depth of field being so shallow when shooting wide open that the slightest movement can change the focal plane? Thats precisely true, but that case wouldn't see an improvement with the use of flash. Yeah, something seems wrong with the lens, or possibly technique (Need a faster shutter speed). My Sigma 50mm wide open at f/1.4 is razor sharp, with natural or artificial light. I gave 2 examples from the lens above in the article, one lit with a flashes, and the other natural light. Both were focused on the eyes, and zoomed in at 100% are razor sharp. Totally agree. I had all the 50's from Canon, and after owning the f/1.2 and feeling like I could never shoot below f/2.0, I sold it and went for the Sigma 50 art. Who cares how good the bokeh is if your subject isn't sharp? Agree! I used that 50mm L for 5 years, it was basically locked in at f/2 99% of the time. I never once paid attention to Bokeh quality. I love Bokeh, but I can't tell the difference. I currently use the Nikkor 50mm 1.8G as my nifty, and have borrowed a Sigma 50mm Art a few times to compare them. In my experience, the differences between them are surprisingly small, to the extent where I cannot tell which picture is taken with which lens unless I know. The Nikkor has a bit more "personality" in terms of vignetting and corner softness, whereas the Sigma is sharper in the corner, but gets focus wrong more frequently, given the same f-stop. What are your findings? I was very resistant to buy anything but Nikon lenses at first. My first off-brand lens was my Sigma ART 18-35mm 1.8, I wanted a fast, wide lens that was sharp. 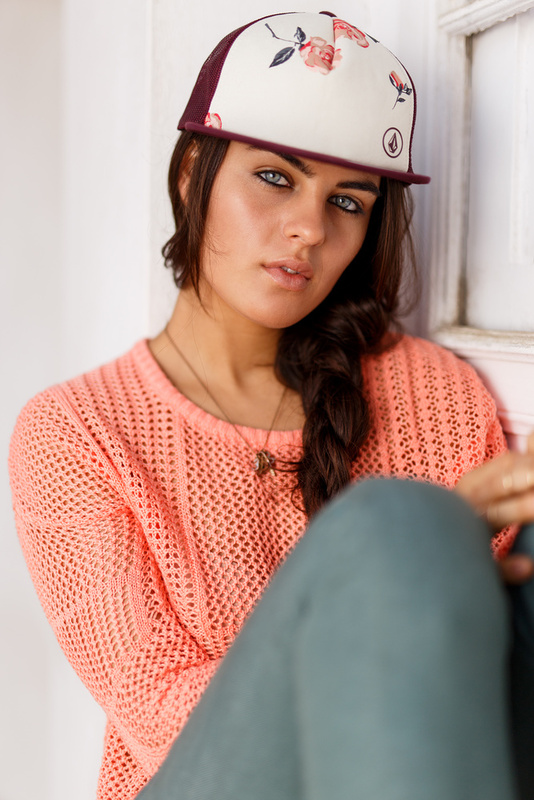 I got it, I love this lens, it's hardly off my camera now and it has me considering buying the new 85mm Sigma Art.